So, it's been a few weeks since my last QT post. Let's see...what's been going on? My oldest, Joshua, turned 15 back in October (hard to believe he's already 15!) and though we celebrated with the family with a cake our gift to him would be a trip out to the country for some recreational activity and then lunch. So, a couple weeks ago that's just what he and I did. I took the day off from work and went out by Lockhart to have some fun and then we feasted at Black's BBQ. It was delicious! This past weekend I participated in my first ever 5K - the Run For Your Lives Zombie Infested Obstacle Race. It was a blast! I'll probably write a whole separate post on it but I will let y'all know that there was no training involved on my part which was not the smartest way to go as it resulted in some true soreness the following day. That along with a sprained toe. This came about due to the shoe selection for the day. I typically love wearing the Vibrams but today I selected the wrong pair as the ones I wore had no real traction. As I was going through the course my toes kept sliding forward and this resulted in a very sprained toe. Not good. But I survived and plan on doing it again next year. Oh - and there is video...stay tuned. It's hard to believe we are almost through Advent. Time has flown by. I was able to make it to confession Wednesday night and I will share something here - I really do not like going. I know I'm not alone but, that along with a scrupulous conscience, will often keep me at bay. This time it was different. I had one of those moments of grace earlier in the week with my youngest son, John. These last few weeks he's been a bit more to handle than usual and the one thing I have a really hard time with is whining - which at times it seems he has a gift for. Well, as is often the case in our home, there was an altercation among the younger brothers with John being the primary offender. After we went through the ritual of me telling him to say he was 'sorry' and him being obstinate with his emphatic 'NO!' I picked him up and carried him into our room. After letting him have a bit of a fit we sat there together and I calmly asked him if he knew why he was in trouble. He said 'no'. I asked him, 'well, what did you do?'. The response was the classic, 'I don't know'. As we went back and forth it struck me how important it was for him to tell me - not for my sake as I already knew - but for his. You see I was able to 'see' clearly that it was about him owning up to what he had done and to see it for what it really was - something wrong. But that wasn't the lightbulb - that part was the obvious part. No, the moment of grace was experiencing that sense of 'tough love' or mercy as a father wanting to spare his son the heartache of falling into a path of sin or hardness of heart later in life by revealing his stumbling early on to put him back on the right path. So, it was with this in mind that I entered the confessional - not only as a penitent sinner but also as a son returning to his father. It's one thing to know this in your head (which i have) it was a great grace to really experience it. Another reason that the story of the prodigal son is my favorite parables. This past weekend we went to get our tree. The kids love to go cut it down. Last year, because of the drought, there wasn't the opportunity. This was not a problem for Dad (me) as he prefers the firs to the virginia pines. But this year did see some rain and so we went out to the Evergreen Christmas Tree Farm to make our selection. Well, this year was a win-win situation. 'Unfortunately', the pickins were a bit slim and we could not find a tree that was large enough that the kids liked so we had to 'settle' for one of the Fraser Firs that they had for sale. Win-win. We got to ride the tractor. Cut some pine circles for ornaments. Roast marshmallows. Play in the maze. And bring home a pretty tree. It was a nice day! 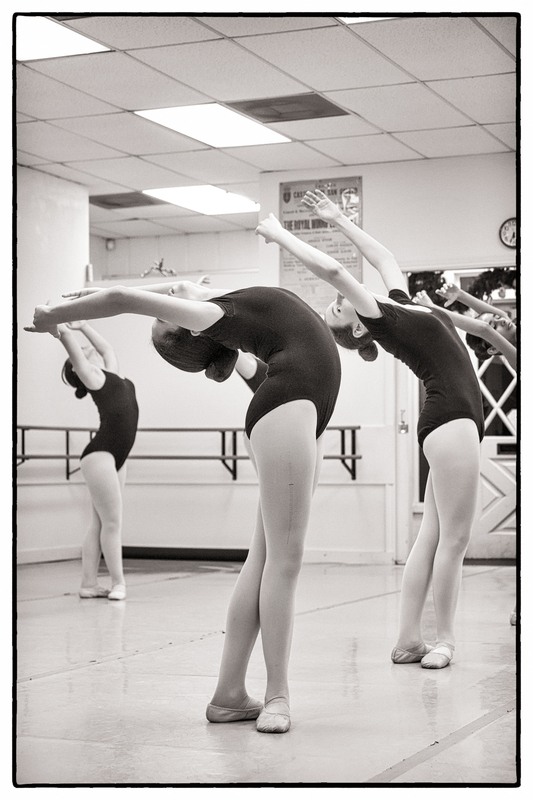 My baby girl takes ballet at the Slavin Nadal School of Ballet. 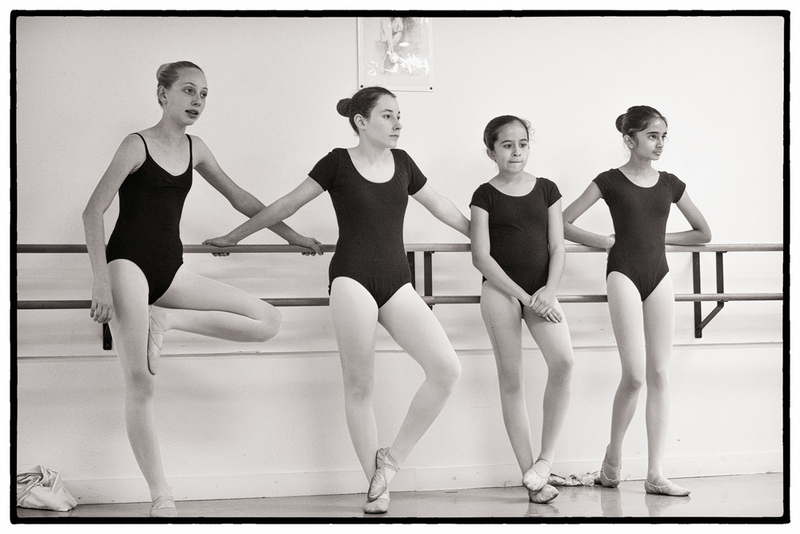 She's been in there since she was 4 and, 9 years later, is quite the little ballerina. This week they had their open house where we were allowed to come in and watch the sessions. I know I'm the dad but I have to say I was quite impressed with the progress she has made this year - actually since the summer. She is a graceful little girl. As for the pictures - I decided to go old school and process them to look like my old film days when I shot and developed my own B/W film. I've been having the urge to get back in the darkroom but it's no longer practical (not sure it ever was) for me so I use Nik's Silver Efex Pro 2 these days instead. Speaking of photography. If you haven't heard of REI's 1440 Project you need to check it out. It has some awesome pictures of regular people just enjoying the outdoors. They also did some great gift idea videos you can check out as well for those last minute gifts you may need to run out and get. "My body double, Katy" is the line that cracked me up. They have many videos. Checkout the whole playlist. And since Christmas is just a few days away I wish you all a blessed and merry Christmas. May your homes be filled with the joy of our God loving us enough to send his Son. Posted in 7 Quick Takes, Family Life and tagged with 7 Quick Takes, Kids, Grace, Family, Christmas, Advent, Faith. December 21, 2012 by Delano Mireles.